There isn’t one area of your life that Spirit doesn’t care about. If it is important to you it is important to them and to me. If you are looking for answers, clarity, greater knowledge, or just a heads up about what is to come, I promise to communicate honestly, and compassionately to you the messages that Spirit wishes to convey so that you can make the best decision possible regardless of what areas of your life it concerns. 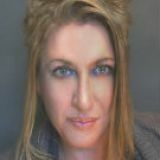 I’m a third-generation, natural born psychic, and I have been delivering Spirits messages professionally for 20+ years. Do you have questions regarding love, relationships, career, finances, life changes, or the purpose of your life? I can help you find the answers to these and more. I promise to give you clear, compassionate, useful answers to your questions as we connect to spirit together. Call today, and find out what Spirit wants to tell you. We’ve all heard it said. Heck most of us have probably said it ourselves. But do we understand it? More importantly do we practice the lesson that exists inside this often used phrase? It’s easy to see the beauty of the butterfly or the rose. It is easy to see beauty in a kind gift, or a loving word. But can you see beauty in a weed? Do you see, or even believe that there is beauty in a person’s cruelty? Can you see beauty in illness, suffering, and trials? If beauty is truly in the eye of the beholder than I would like to suggest that just as with anything that is based on personal perception, it is possible to change out perception of what is beautiful. So using a challenge, such as an chronic illness as an example, it is possible to view it as beautiful though not pleasent. The suffering brought about by the illness is not going to give a sense of satisfaction or enjoyment. Going to the Doctors, getting tests, days locked in bed, or being unable to preform activities that were once loved in no way are enjoyable. While negative experiences are not easy, rather than focusing on the negative looking for the beauty in any situation can bring happiness, greater satisfaction, a sense of well being, and peace to an otherwise horrible experience. Choosing to look for beauty daily can change out quality of life for the better. And isn’t that what we all want? ​Blood: Is It Thicker Than Water? The original meaning of this phrase is actually the exact opposite of what we think it means today. The water part referred to the water of the womb, or birth. The blood referred to the blood of battle. While we may not fight many physical battles these days, our lives are filled with challenges, obstacles and trials. Illness and financial struggles are common. Relationships begin and end, Sometimes there is no external struggle, but inside we struggle with descisons, feelings, and emotions that are too big to bear on our own. During these “battles” of life, who stands with us through thick and thin. Who has our back, supports us, loves us and is with us regardless of what comes our way. These people, weather biologically related or not are our family. They are our battle brothers and sisters, and have proved it not because they “have” to be there, but because they want to be there, Because they love us. Biological family isn’t always the healthiest people to have in our lives. As had as it may be sometimes we have to remove people from our lives even if they are family. In fact the unhealthy relationships that are biologically based may need to be removed from our lives the most. They are often the ones that hurt us most deeply and therefore cause the most damage. It is okay to let go of these relationships, especially because this allows room in our loves and hearts for relationships that actually help us and lift us up. Take some time today to look at your relationships. Are you keeping certain people in your life simply because they are “family”? If so is it time to let go so that you can find those relationships that Spirit wants you to have? Give yourself the gift of finding your “blood” family not just your water family: You deserve it. It’s a phrase we have all heard time and time again. I believe that it is true. But I think that we often get the application of it wrong. Patience does not mean sitting around doing nothing. It does not mean waiting endlessly for Spirit to bless us while we are doing without. Patience is the ability to accept or tolerate delay, trouble, or suffering without getting angry or upset. It is the way we “feel” about a situation, not how we interact with the situation or what we do about it. So many times what delays a movement forward in out lives, weather it’s personal relationships or work related, is a fear of making the wrong choice or taking action that doesn’t work out in the intended way. We say we are being patient but in fact we are allowing fear to stop us from taking action. By taking positive action, and not placing expectations on the results, we allow Spirit to work in out lives. They won’t do it for us, but want to work with us. So I would challenge you today to take some action today to change your current situation. Take that action and have the patient trust to know that Spirit will us that action to improve your circumstances at exactly the right time. It’s seems hard, but it’s worth it. ​We all know that daily meditation is a good thing. All of the "experts" agree that it reduce stress, increases productivity, boosts the immune system, and increases happiness in your life. And if you've ever attempted it, you know there are benefits. But actually finding a way to do it, finding the time and space every day can be difficult. I'd like to offer a few suggestions that might make it a little bit easier. Download a free meditation app on your phone. Use it to keep track of your daily practice, as well as available suggestions for how to meditate. Take advantage of guided meditation’s available on YouTube as well as downloadable apps. This takes the “thinking“ out of the process, allowing you just to follow along, as well as choosing the length of the meditation time. ​ Some days you’re going to do better than others. Some days you’re going to find more peace. In the beginning, as you begin to build the habit of meditation, there may even be days where you don’t meditate. The point is not perfection. The point of a daily meditation practice is to do something good for yourself, something that brings you peace of mind and personal satisfaction. Don’t beat up on yourself if you’re not perfect, just get up and try again. With time, effort, and continued perseverance, you will begin to see the results of a daily meditation practice. Keeping it simple will allow you greater opportunity for success as well as seeing the benefits in your daily life more quickly. "There is no way that just happened!" ​ The truth, as I understand it, is that coincidences are 9 time out of 10 Spirit working in our lives. What, to us, seems to be random very rarely is. The Divine is placing opportunities on our path, or they are guiding us to change direction. They are lifting us up in beautiful, miraculous, and personally designed ways, so that we can find the way to our greatest good, help others, or so that we may see the limitless love that is available to all of us. Spirit/God/The Divine loves you, is aware of you at every moment, and seeks to help you find joy, peace, love, and purpose in you life. So the next time you find yourself experiencing either simple or profound "coincidence" in you life, instead of brushing it aside as random, ask yourself, "What is my Creator trying to show me? What is Spirit trying to tell me? What beautiful miracles await me in these inspired events?" You may be surprised at the answers that await you as you shift your perspective, begin to see how Spirit is always present in your life, and begin to actively experience this most amazing way of the Universe expressing it's love and concern for you. Life Lessons, or Something Else? We've all been through one or two. I am probably not alone in having the experience of going through one of life's trials, being right in the middle of the raging storm, and calling out, "I don't get it! What lesson are you trying to teach me!?" Sometimes we can't see the lesson, but sometimes there is no lesson. We are not placed in a certain situation to gain knowledge from it (though we surely do if we are open and teachable). The story isn't always one of Spirit trying to push us into growth and change. "But wait!" you say. "How can that be?" I know. I get it. It's easier to believe that if there is a trial there is also a great purpose. Well of course it is! What I am saying is that the greater purpose may not be a lesson YOU need to learn. A number of years ago I was talking to my Grandmother about some significant trials I was going through involving others. Not to far out of my teen years, and so believing myself to be, if not highly spiritually evolved, at least well on my way to enlightenment, I explained to her that I JUST KNEW there must be some great spiritual lesson that I was supposed to be learning, I just could not yet see what it was. She let me talk for a few, but when I finally shut up, was finally willing to LISTEN, she spoke. "Sometimes there is no lesson to be learned. Sometimes your toes get stepped on because you are in the way." I can be doing EVERYTHING right. AND I WILL STILL GET STEPPED ON. I will still experience pain, and I will still feel loss. Sometimes it is the other guy learning the lesson. Sometimes I am not the student. Sometimes I am the Teacher. Of course there are lessons to be learned, and it is our job to figure it out and learn what is being offered. But when all possibilities have been considered, and after deep personal examination, you just can't see how this lesson is for you, it just may be that you have been given the gift of witnessing someone else's growth. You have become the Teacher. But don't worry too much about it. The Wheel turns and you will become the student again, and step on someone else's toes. ​ My name is Karin and I would like to introduce myself you to. I am a third generation Psychic. Both my Mom and her Mom were empaths/psychic, and while they never practiced professionally, those two amazing women taught me everything I know about how to use my gifts to help others. I have always considered it a tremendous blessing to be able to do what I do. I love helping you find the answers you are looking for. I love seeing you grow and change spiritually as you find you path and purpose. I feel it is a blessing, because I'm not the one doing anything special. I think of myself as a hollow reed, and my job is to allow the messages that spirit has for you to flow through me. I mostly try and just get out of Spirit's way. Haha. The fact that the Divine allows me to participate in the process just tickles me, and fills me with so much joy. I am truly honored and humbled to be able to work with EVERYONE that Spirit brings to me. My greatest desire is to always deliver the messages received for you as accurately, honestly, and clearly as possible. I always want to honor and hold precious the journey and path that you are traveling. You are doing the work that Spirit has for you, just by asking the questions, and seeking Spirit's answers for you. Thank you for including me on that journey. ​It's a term that you may hear a lot, especially in metaphysical circles. Many people don't really understand it though. In short your body, mind, and spirit are electrical systems. You run on electrical signals. In every electrical system, as energy is moved, there is always a build of of excess voltage, or energy, so electricians use a ground wire (attached literally to the ground) that allows this extra energy to find it's way into the stable earth. Humans are no different. Daily stress, challenges, and obstacles cause a buildup of excess energy. If we don't "ground" this energy, or get rid of it, then just like in machinery, it can cause a shorting out of the system. And it can not only can it damage us, personally, but those around us. So how do we do it? It's actually can be a very simple process. I usually begin by slipping off my shoes. Most shoes have rubber soles. Rubber insulates, and just as like it can protect you from electrical shock, it will keep you from draining that extra energy. So take off those shoes! If you can stand on the actual earth so much the better. The park, or any old patch of dirt will do. Don't worry if you can't get outside, you will still see the benefits.Close your eyes, and as you breathe see, feel, roots growing from the bottom of your feet deep into the earth and feel all of that excess energy, flowing from you into the ground. Continue to breathe deeply and that's it! Sounds easy I know. That's because it is. But you will feel the difference almost immediately.This is just one way to ground, that I find works for many people, but I encourage you to explore. Google it and see what you find. The only thing is it should be relatively simple, and you should be able to incorporate it into your day regularly. The hardest part is remembering to do it regularly throughout the day, because just a couple of minutes here and there can make a world of difference. People often ask me what it is that I do exactly as a psychic. Obviously that is a complicated answer, but the first thing I usually say is "I don't give advice". I know what you are thinking, "but isn't that why I am calling you, to get advice?" I believe that most people don't want Psychic Karin's advice, but Spirit's, so no it isn't my job to give you advice in the traditional sense. One idea that spirit has always pressed upon me without fail is that Spirit/The Universe/God never forces us to do ANYTHING. It is always our choice. They believe that choosing/personal responsibility is the greatest gift we have in this life, but they do want to help us be happy, be successful, and to help us come into line with The Universe's plan for us to achieve our highest good. To do this they show the path, give the pros and cons, show the possible outcomes based upon our decisions, and the decisions of others in our lives. They help us see with new clarity exactly where we have been, what we are doing now and where we can go, depending on what we choose. What an awesome thing to know that we play a part in our lives, we have power, and spirit will work with us no matter the circumstances, so that we can learn and grow, gain wisdom, and joy from our lives. So to answer the question, I help you connect with Spirit so that you can make the best decisions possible, and find the joy, and purpose we are all seeking from this life.